Truck drivers under the influence or hauling methamphetamine may find it a little harder in Western Australia with the state government creating a new task force to tackle interstate trafficking off the drug via road, rail, air and post. New meth transport teams have been established to target supply routes into Western Australia, WA police minister Liza Harvey says, to reduce its presence in the state and its connection to organised crime. 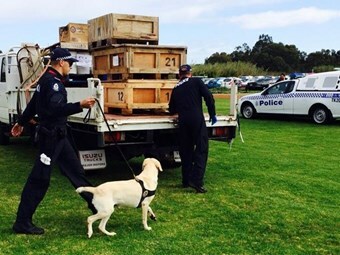 "We know the majority of methamphetamine is being imported into WA and the Meth Transport Teams will aim to stop the flow of drugs before they reach the streets," Harvey says. "Methamphetamine is unlike any drug we have seen before in WA; it is linked to the vast majority of crime and comes with an unprecedented level of violence." It is unclear as to the number of truck drivers involved in the trafficking of illegal drugs; however the results of Operation Austrans found 71 drivers possessing, under the influence or trafficking drugs. According to a CASR Road Safety Research Report in 2011, around 25 to 35 per cent of heavy vehicle drivers reported to generally using stimulating substances, such as amphetamines, stay-awake-pills, pseudoephedrine, etc., to combat fatigue. The news hasn’t been positive in Victoria either with the police acknowledging 156 truck drivers were caught with methamphetamine in their system last year, a 20 per cent rise on 2013. A 2013 survey found Western Australia almost doubled the national average for methamphetamine use in those over 14-years-old, with 3.8 per cent. Harvey says the WA enforcement plan will also target money trails and explore legislation to strengthen meth control.